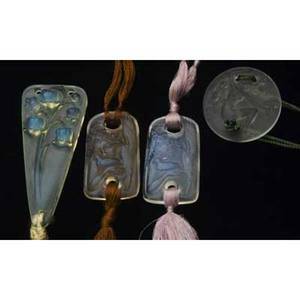 Realized price for Rene lalique four pendants, "muguet,"
RENE LALIQUE Four pendants, "Muguet," of opalescent glass, "Chose Promise" for Fioret in clear and frosted glass, and a pair with maiden in opalescent, and clear and frosted with brownish patina. 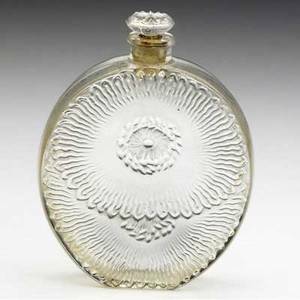 Engraved and molded marks. 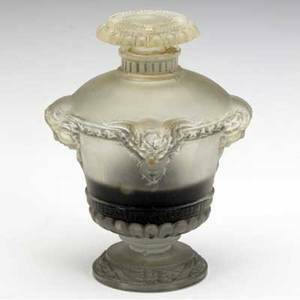 Largest: 2 1/2"
Lalique bouquet de faunes perfume bottle for guerlain, in clear and frosted glass with grey patina, with original black leather case, c. 1925. m p. 940, no. 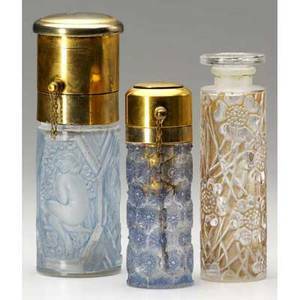 1. molded guerlain paris. 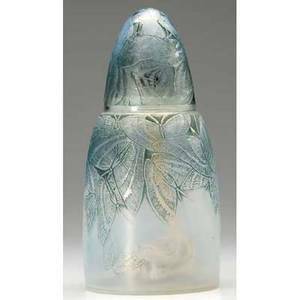 4"
Lalique niobe perfume bottle for violet in clear and frosted glass with shoulder design of birds on branches, with blue patina, c. 1919. m p. 949. intaglio molded rl, engraved 918. 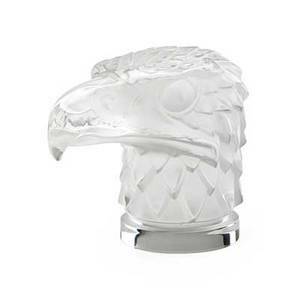 4 1/4" x 3 1/2"
Lalique glass mascot; "tete d"aigle" in clear and frosted glass, late 20th c.; script signature lalique france; 4 1/4" x 6"
Lalique; d"orsay; "la renommee d"orsay" five-chamber perfume tester in clear and frosted glass, france, ca. 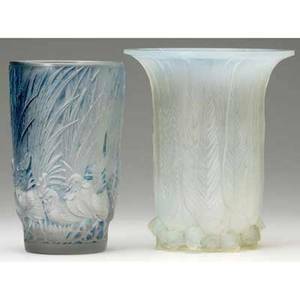 1922; m. p. 935; molded d"orsay, etched r. lalique; 1 3/4" x 8 3/4"
Rene lalique "papillons" perfume burner of opalescent glass with blue-green patina. m p. 688, no. 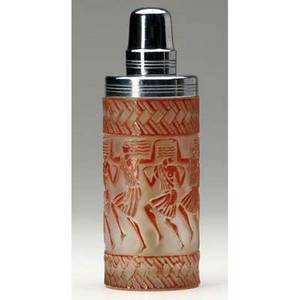 2650. molded r. lalique. 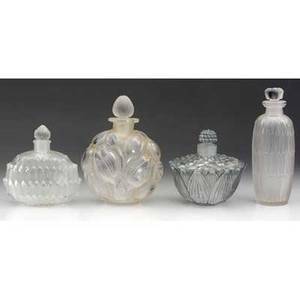 7 1/2"
Rene lalique four perfume bottles of clear and frosted glass, "helene," "amelie," "bouquet," and "petites feuilles." 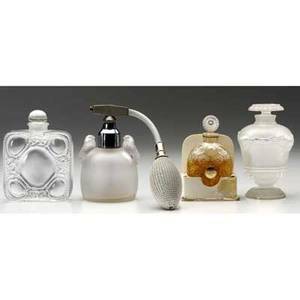 engraved and molded marks. 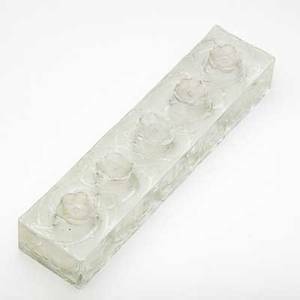 tallest: 4 1/4"